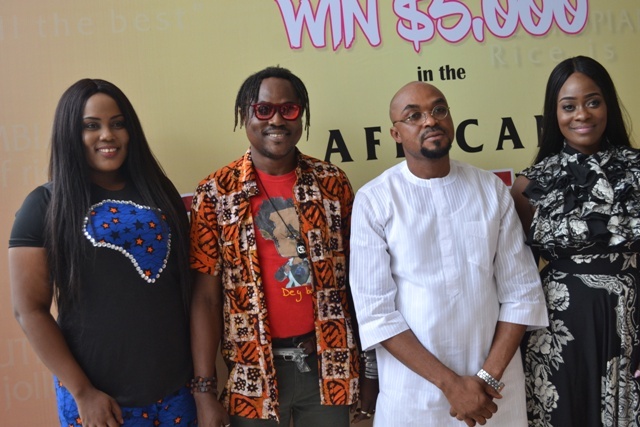 L-R: Contenet and Creative Directive, BTV, Victoria Otono, Executive Producer BTV, Ororo Pattaya Otono, Executive Producer, African Jollof Rice Challenge, Felix King and ex BB Naija 2017 housemate, Uriel Oputa at the unveiling of African Jollof Rice challenge at Ikeja City Mall on June 2, 2017. On June 2, 2017, the food conversation in Africa hits a new height as Brand Television Network, Btv; a lifestyle and entertainment television network presents the African Jollof Rice Challenge. African Jollof Rice Challenge is a continental lifestyle and entertainment taste tour and cooking contest that seeks to discover the country that has the best Jollof Rice in Africa in a contest where representatives of different African countries will slug it out and aim at the $5000 Grand Prize money. According to Felix King, an Executive Producer of Btv, the argument on which country has the best Jollof Rice in Nigeria inspired social network and street conversations across Africa, especially among the West African Countries, where Jollof Rice is most popular.This argument has grown into a very strong continental debate, which has dominated both conventional and social media spaces. Since then, Jollof Rice lovers have taken to all media platforms to present their perspectives on which country’s jollof rice is the best in Africa. The argument gets fiercer with each passing day with claims and counter claims on which country actually has the best Jollof Rice in Africa. None of the perspectives has proved convincing, despite Nigeria’s strong claims to the African cuisine. The different viewpoints on the streets have only generated more controversies and continuous placement of different points to back up individual claims,” the Btv Executive Director said. 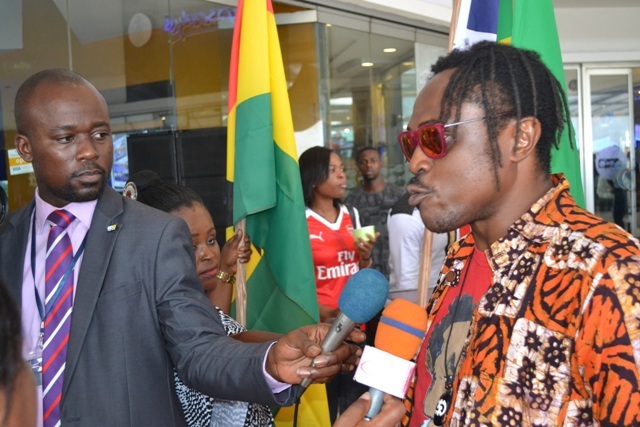 Executive Producer BTV, Ororo Pattaya Otono being interviewed during the unveiling of African Jollof Rice challenge at Ikeja City Mall on June 2, 2017. In recent times, Nigeria and Ghana has laid major claims to the origin and ownership of Jollof, but some historians traced its origin to Senegambia,which was ruled by the Jolof Empire. This argument about the origin of Jollof Rice has become a culturally sensitive issue between Nigerians and Ghanaians. Whatever the arguments are, Jollof rice is one of the most common dishes in West Africa consumed throughout the region including Senegal, Gambia, Nigeria, Sierra Leone, Liberia, Togo, Cameroon, Mali, and Ghana. There are several regional variations in the name and ingredients. According to Wikipedia, the name Jollof rice is derived from the name of the Wolof people now called the ibou dienn or benachin. In French-speaking areas, it is called riz au gras. Despite the variations, the dish is "mutually intelligible" across the region and has spread so wide to become the best-known African dish outside the continent. Just as we try to get used to the Jollof Rice story as it is, the new argument erupted, giving room to another controversy that has come to stay with us because no one country in Africa will ever agree that its Jollof Rice is second to any. 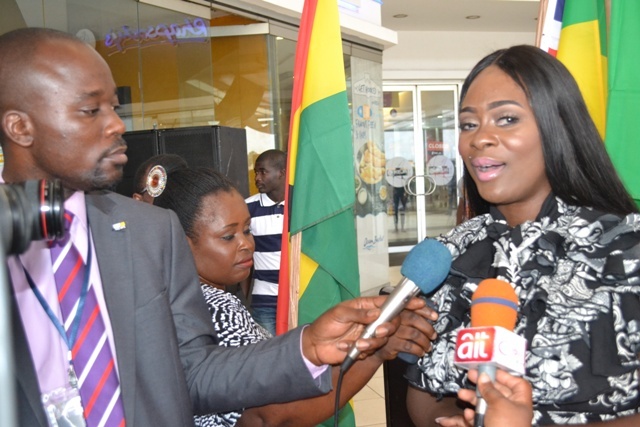 Ex BB Naija 2017 housemate, Uriel Oputa being interviewed at the unveiling of African Jollof Rice challenge at Ikeja City Mall on June 2, 2017. In the face of this unending argument, Brand Television Network, Btv launched the lasting solution – African Jollof Rice Challenge. To the organizers, African Jollof Rice Challenge is more of an entertainment platform than a contest. It’s the positive and healthy exploration of the beauty of African entertainment that makes us one big continent. King describes the Grand Finale as a celebration of different African music, where African rhythm meets African Jollof Rice. In the words of Ororo, Jollof Rice is a strong unifying factor in Africa that brings us together to share great moments. Despite our differences, we have one major similarity - Jollof Rice. Hence the theme: One Africa, One Jollof Rice, And Different Recipes. Beyond entertainment and food values, the African Jollof Rice Challenge will serve as a veritable platform to promote tourism, cultural exchange among African countries and overall economic growth. If you can cook jollof rice, register at www.btvng.com and stand a chance to win $5000. Thanks for taking time to comment. Your Feedback & Questions are highly appreciated. ♥ If you've got questions on any recipe or article posted, Please leave it in the comment section and it would be replied as soon as possible. Questions related to any article will not be answered away from the page. ♥ Comments are moderated (Everything constructive is approved), so they may take some time to appear so please check back! How to make Doughnuts "Nigerian Donut recipe"
Copyright © 2010-2017,Dobbyssignature. All Rights Reserved. Powered by Blogger.